Office furniture may seem like a standard inclusion for any business, but it may require more consideration than just having enough rolling chairs for your employees. 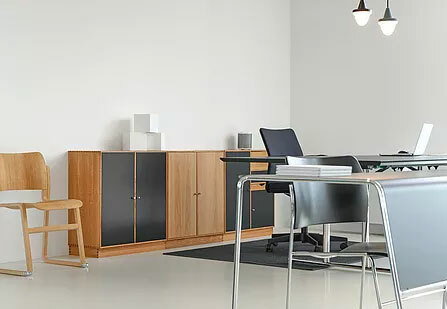 Below, we will consider four of the easiest office furniture mistakes to make without a little bit of thought and planning before purchasing. Consider Employees’ Needs. The work place hosts a team of diversity, as well as changing trends in office design. Although open offices have become a more common concept in office design, employees still need a way to have privacy and quiet. Furniture that is adjustable may also be a prime consideration as a desk that suits someone who is very tall may not provide the same ease and comfort to someone who is shorter. Ultimately, it is your employees who will be utilizing the office furniture daily and a comfortable employee will be much more productive. Style Over Comfort. You may have a design worked out for your office that is sleek, appealing, and should impress clients, but if the furniture that fits is not comfortable, it’s a no-go. You, your employees, and your clients may be spending hours of the day in a chair and you want to make sure that hour three is just as comfortable as the first five minutes using a particular piece of furniture. Test Before You Buy. The internet is an amazing resource. The ability to purchase your office’s furniture with just a few clicks is very tempting, but testing what you plan to buy first is necessary. Make a trip out to your local furniture dealer and try out the pieces you desire or call us and we can deliver a sample to you, keeping in mind preference and comfort. We offer trials of our furniture, so don’t be afraid to reach out to us here before making your purchase! The Long Term. As a business owner, you should be familiar with having long term plans. The investment of new office furniture is another piece of the future plan. Furniture that is more mobile or adaptable can suit multiple needs, decreasing the chance that it won’t be utilized if you should change the office design or move to a bigger location in the future. Office design is constantly evolving as industries grow and new concepts are introduced into the workplace environment. We will continue to see new trends moving forward, but one thing remains the same; offices will need comfortable, durable, and appealing furniture. A good example of a comfortable, appealing, and durable design is the muvman Active-Sit-Stand by Via Seating. Hamilton Business Interiors is always up to date on the latest trends, and our experience is put to use when designing and furnishing your work-space. To schedule a consult, visit us here! This entry was posted on Monday, August 7th, 2017 at 4:27 pm. Both comments and pings are currently closed.